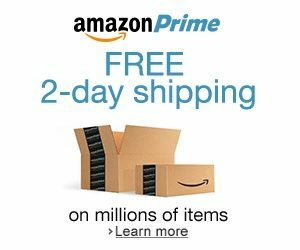 Sign up for Amazon Prime and enjoy FREE 2-day shipping and Amazon Video!! You’ll also get Free Same-Day or One-Day Delivery to select areas, Twitch Prime, Amazon Originals, early access to deals, and unlimited photo storage. With PrimeVideo.com, you can watch on your computer or on the go with the Prime Video app, and download select titles to your iPhone, iPad, or Android device. Sign up for a 30-day free trial for only $ 79.00/year (plus any applicable taxes). Cancel anytime. *Quebec residents receive an initial 13-month membership for CDN$ 79.00, instead of a free trial. Indigo.ca – Free Shipping, No Minimum!